(From Nikon lens literature) The AF-S NIKKOR 200-400mm f/4G ED VR II lens delivers optical excellence and stunning image quality for professional photographers. Ideal for bringing to life exquisite detail for sports, nature and travel photography, this new lens affords a constant maximum aperture of f/4 and rugged construction for maximum versatility. Continued refinements and new technologies such as Vibration Reduction (VR) II, Nano Crystal Coat, and optimized autofocus (AF) modes enhance functionality and improve performance for discerning FX and DX-format photographers. The AF-S NIKKOR 200-400mm f/4G ED VR II lens is scheduled to be available at Nikon authorized dealers in late May 2010 with an estimated selling price of $6,999.95**. 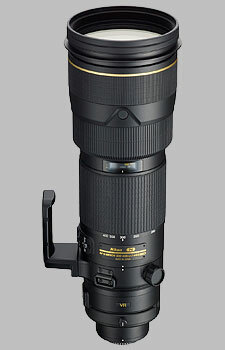 The Nikon 200-400mm f/4G ED VR II AF-S Nikkor doesn't have any user reviews yet!